A judge has ruled that Samsung must give Apple access to some of its mobile phones and tablets that are yet to be released for sale. Judge Lucy Koh has ruled that Apple deserves limited early access to the handsets as part of its case against Samsung for patent and trademark infringement. The product samples and packaging that Samsung must provide to Apple include those of the Samsung Galaxy S2, Galaxy Tab 8.9, Galaxy Tab 10.1, Infuse 4G and 4G LTE or 'Droid Charge'. 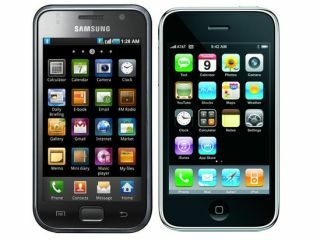 Apple claims that Samsung's recent products have been deliberately designed to look like the iPad and iPhone, and that its app icons are also too similar to the fruity manufacturer's. Although she allowed Apple access to Samsung's materials, Judge Koh was quick to point out that the action has no bearing on her view of Apple's claims of copyright infringement. She wrote in the order, "Although the Court expresses no opinion on the merits of Apple's claims, the Court notes that Apple has produced images of Samsung products and other evidence that provide a reasonable basis for Apple's belief that Samsung's new products are designed to mimic Apple's products. "In particular, the design and appearance of Samsung's forthcoming products and packaging are directly relevant to Apple's trademark, trade dress, and design claims. "Because these claims are subject to consumer confusion and "ordinary observer" standards, the products themselves and the packaging in which they are sold are likely to be central to any motion for preliminary injunction."